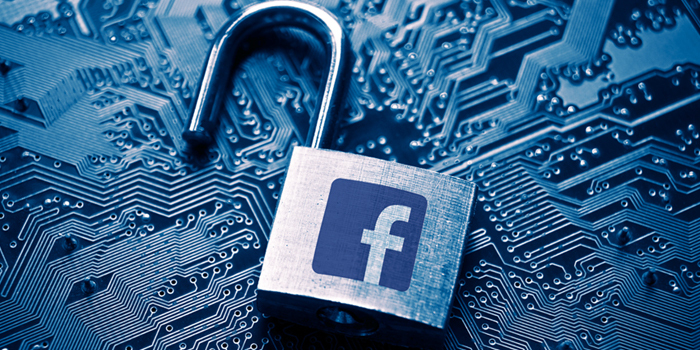 Facebook Inc. said it discovered a security breach earlier this week that affected almost 50 million accounts, the latest in a series of missteps that are undermining confidence in the company’s social network and business model. The social-media network said in a statement Friday that it has fixed the breach, which allowed hackers to take over people’s accounts. Law enforcement authorities and regulators including the Irish Data Protection Commissioner have been told about the incident. The Facebook accounts of Chief Executive Officer Mark Zuckerberg and Chief Operating Officer Sheryl Sandberg were among those targeted by the hack. Shares of the company fell 2.6 percent to close at $164.46 in New York, leaving them down 6.8 percent this year. See a timeline of the attack. User data leaks, security breaches and the spread of misinformation have forced Facebook to confront hostile congressional hearings and uproar from users. This week’s breach adds to concerns the company is collecting too much personal information and not looking after it properly. Data is the lifeblood of Facebook’s advertising business, so any limits on its activities that stem from these missteps could crimp the company’s earning power. U.S. Senator Mark Warner, the top Democrat on the Senate Intelligence Committee, said the breach was “deeply concerning” and called for an investigation. Ireland’s data-protection regulator said Facebook hasn’t shared enough information about the attack. There was a loophole in Facebook’s code for a feature called “View As” that let people see what their account looks like to someone else. The vulnerability allowed hackers to steal access tokens — digital keys that keep people logged into Facebook so they don’t need to re-enter passwords. Once logged in, the attackers could take control. The vulnerability let the attacker use a Facebook account as if they were the account holder, executives said during a conference call. “We need to do more to prevent this from happening in the first place,” Zuckerberg said. The Cambridge Analytica scandal from earlier this year, which involved a developer handing over Facebook user profile information to a third party, affected as many as 85 million people and led to a congressional hearing. This new vulnerability is potentially worse because it let hackers log in as the holder of the account, giving them access to information that was not otherwise public. The hack required sophistication, said Rosen. The attackers had the resources to find three different bugs and exploit them in tandem. Facebook is investigating the breach in partnership with the FBI, which didn’t immediately respond to a request for comment on the possibility of nation state involvement. The news could weigh on growth and hurt profit in the second half of this year, according to Bloomberg Intelligence analyst Jitendra Waral. “Facebook also may lose users who have been asked to reset sign-ins” and face fines under Europe’s General Data Protection Regulation, he wrote Friday in a note to investors. Everyone whose profile used the “View As” tool in the last year will have to log in to Facebook again, and any apps that used Facebook to log in. From there, they’ll be able to see a statement explaining what happened. The company estimated that about 90 million people will have to log in again. Facebook has more than 2 billion users. This article is from Bloomberg and can be found here. Would you like to have a complimentary policy review? Let one of our agents review your existing policy to see if we can find you better coverage and rates.